This is a good question. 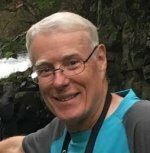 You see veteran travel writers circling the globe and splashing their adventures all over social media. And new travel writers wonder how we cover those expensive travel costs. 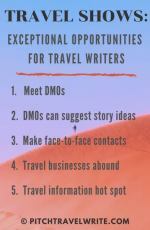 Travel writing differs from other types of freelance writing in one very specific way: you need to go out in the field to do your research. It costs money to travel and do your research, and depending on where you’re going, travel can be very expensive. Magazines seldom pay writer's travel expenses anymore. This means when you compare your travel costs with what you’re paid for an article, the result is usually negative. So, how can you cover your travel costs when magazines pay so little? Fortunately, the destination media reps in the travel industry understand this problem. And that’s why learning how to land press trips is critically important. 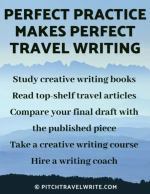 Unless you’re independently wealthy, it’s one of your most important tools if you want to travel and write. Sell articles in advance of every trip. Use confirmed assignments to leverage complimentary travel assistance. Keep out-of-pocket travel costs as low as possible if you have to pay some of the travel expenses. 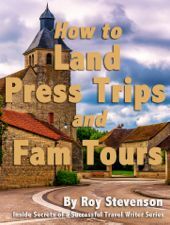 Here are three distinctly different examples and real-life scenarios of press trips I’ve taken and how I covered my travel costs. In these examples, I’ve included the money I earned through my assignments, and how my travel expenses were covered. In this scenario you’re invited on a press trip and all your expenses are covered. For organized press trips, this is usually the case, so it's the ideal travel writing scenario. For example, two years ago I was invited on a 1-week tour by the Belgian National Tourist Agency. Before leaving on the trip, I sold a couple of articles worth $1500, which I wrote after returning from the trip. The tourist agency covered all travel expenses: airfare, lodging, meals, ground transportation, etc. Many travel writers have a policy of only accepting this kind of press trip. When your travel expenses are fully covered, whatever you earn from your assignment is pure profit. But sometimes you’re planning to take a trip anyway. What if you decide you’re willing to pick up some of the costs? In 2013, I did a 6-week tour of Europe. As a former long distance runner, I love attending the Diamond League track and field meets held in various cities throughout Europe. I had several assignments writing about these meets for a running magazine and a blog that paid well. But I had several days to kill between track meets and I had to do something with my time. What did I do? I organized press trips during my spare time to see some new places. And I pre-sold numerous articles about those places. My European trip included a 12-day tour of SW Germany as a guest of their national tourist board, a 5-day tour of Wales as a guest of Visit Wales, and a complimentary week-long cruise down the Burgundy Canal in a luxury boutique hotel barge. This 6-week trip included numerous complimentary day tours and attractions. And I received press passes to the track and field meets. On the days when host organizations did not cover my travel expenses, I kept my costs down. Hotels I booked were more modest 2 and 3-stars. And I ate more simply, at local establishments rather than on the tourist route. Some days I would pick up lunch in a local supermarket and then eat, picnic-style, in the village square. These DIY meals cost a fraction of what sit-down lunches costs in a European bistro, and they’re far more entertaining! People watching in village squares is fascinating and fun. I pre-sold 23 articles for 11 different magazines and blogs before the trip and was paid $3,831 for these stories after the trip. That funded my portion of the expenses, with a small profit leftover. Now $3,831 of writing revenue is not a lot to show for six weeks in Europe, but my goal, in this case, was to make enough money to cover my out-of-pocket expenses. Compared with the thousands of dollars a tourist would pay for the same trip, the difference is huge! Most of the time I’ll pass on this kind of trip. Most professional travel writers wouldn’t consider taking a trip if their expenses are not paid. 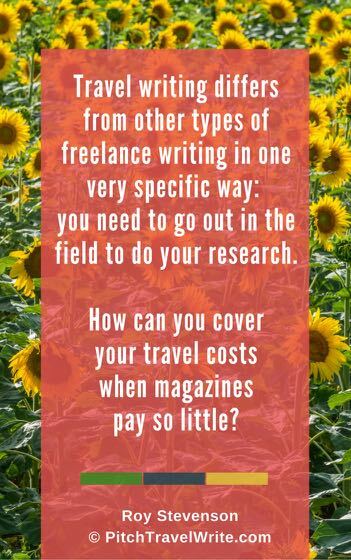 It's not feasible to expect to cover your travel costs with what you're paid for your article. But, believe it or not, there are times when you can make it work. If you align your stars properly, you can do a one-day trip to keep your costs low, and still turn a nice profit. Two years ago, I had the opportunity to write an article about a classic automobile collection. The magazine agreed to pay $1200 for the article and photos, but I needed to pay airfare to travel from Seattle to Denver and back to do my research. The tourist agency didn’t offer any assistance with this trip because the automobile museum wasn’t one of their clients. After I struck out with them, I decided to fund the trip myself. My airfare was free since I used air miles. This was the clincher. Without free airfare I wouldn’t have made the trip. To keep costs as low as possible, I started and finished the trip on the same day. It was a very long day, beginning at 4 a.m. and finishing at 11 p.m. I rented a car for $40 and paid for a couple inexpensive meals. My total out-of-pocket costs were less than $100. So it was a profitable trip! Just about any day trip in a car can work out at a profit. If there’s a place you can visit near your home, then you only have some gas and meal expenses. Even if you only earn $250 from the article you write, it easily covers your costs with money left over. You can see from these different scenarios there are a variety of ways to fund your travels. It takes a great deal of advance planning in querying editors and getting assignments. Then it takes networking with tourist agencies for help in getting travel perks. The point is, if there are places you want to go, and you’re able to sell articles about those places, there are ways to fund your travels without paying all the costs out of your own pocket. Should Travel Writers Take the Freebies and Run?